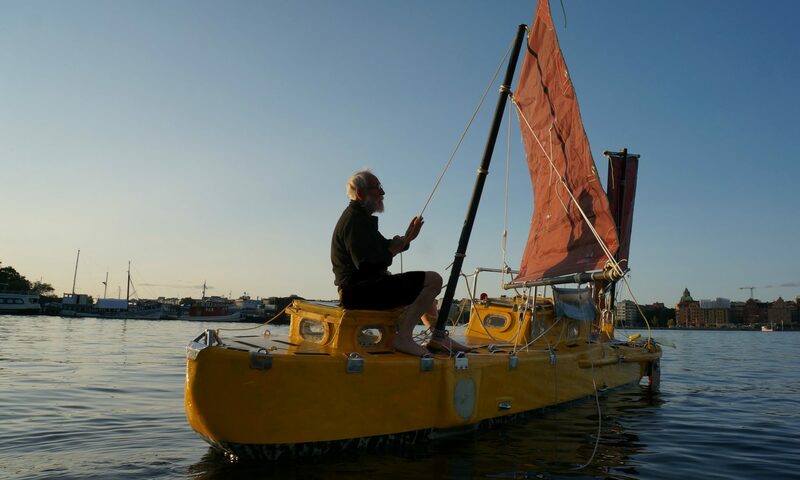 600 days of nonstop sailing, mostly in the southern ocean will very likely expose us to strong winds. 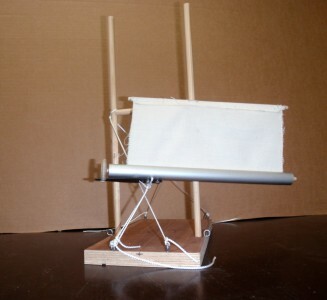 Although I will endeavor to make the masts sturdy it will be nice to have a simple way to increase their strengths. The following pictures shows one way of doing that. I will place a horizontal strut between the masts at about half their height. 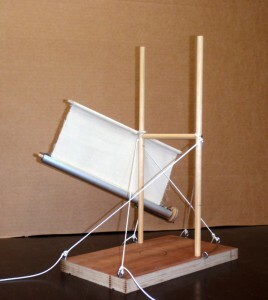 The strut can also be used for exercises and lookout. From the strut where it connects to the masts Dynema ropes extend down to the deck, to strongpoints, my Yrvind-cleats acting as super-strong chainplates. The shroud angles are never less than 26 degrees. Half that angle 13 degrees is ample. The haliard is now down to half the mast hight. This reduceses the compression and bending appreciably. I do not think it will take long to set it up, especially after getting some practice. The masts are very close to the hatch and with one mast on each side the operating area will be very steady. 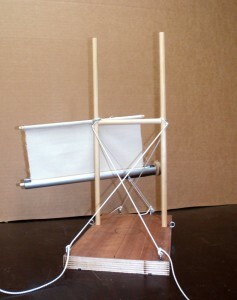 The below pictures shows a one to ten scale mock up of the idea. 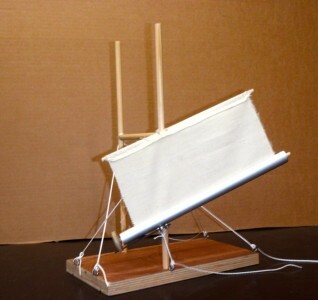 The first picture shows the port side of the model slightly from foreward with the wind in from foreward. The second picture show the boat with the wind from starbord slightly from behind on the same tack. The below picture shows the model going downwind. The nice thing about the balanced lug sail is that the downhaul can be mowed. The sail is not attached to the mast. In this scenario the dawnhaul is on the Yrvind-cleat on the bow on the starbord side. I all of the pictures the sail on tha other mast is rolled into its casset and lashed to the deck.